Answer: We can provide several suggestions about what you should do to get ready for winter living in your 5th wheel. 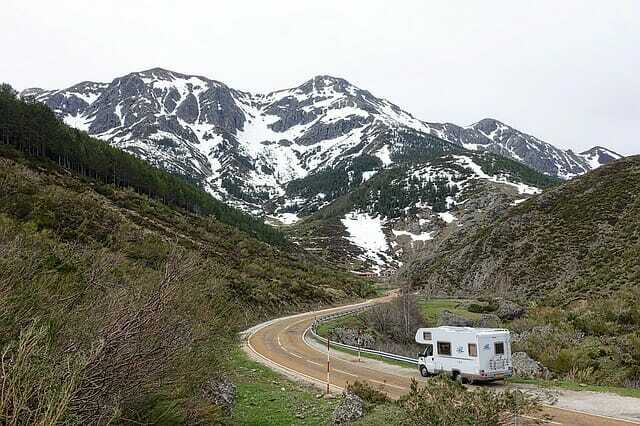 Try to find out whether your RV was built with extra insulation and heated bays. This is important to keep the plumbing from freezing. If your RV was not built for winter RVing, then you will have to take steps to insulate the RV’s tanks and pipes. Let me start with the water supply at the campground. If you are lucky, the water supply will be accessed via drain down type spigot/faucet. Drain downs protect themselves if you take the step to shut them when you are away from the campground. They look like an old-fashioned water pump handle. They are called drain downs because when you shut off the water, all the water inside the spigot/faucet and supply pipe drains out below ground thus preventing freezing. You then remove your water supply hose until it is needed. In this scenario, you would use the water stored in your fresh water tank and replenish it as needed. If you don’t have this sort of spigot and want to leave the water connected for the winter season, then you will have to take steps to protect the spigot/faucet and any part that sticks up out of ground as well as you water hose (I prefer to use PEX pipe) with heat tape. I use short pieces of electrical tape to attach the heat tape to all the water supply elements that need protection. Cover the heat tape with some insulating material to keep the heat in and then protect the insulation with duct tape to keep moisture out. This is a more permanent approach at protecting the water supply side of your camper. If you have never heard of heat tape, it is a heating device that you plug into an electrical outlet. The heat tape creates heat and keeps things from freezing. Heat tape is sold at hardware stores, farm supply, and large DIY outlets. Heat tape comes in many lengths to suit your needs. Protecting your 5th wheel is important too. At all times, keep the temperature in the 5th wheel at a minimum of 55 degrees. I use two small electric ceramic heaters to keep the interior warm. If you pay for electricity then you might consider using your furnace. Just be aware that furnaces can run out of fuel. Put skirting around the bottom of your fifth wheel to keep the wind chill down and keep heat in. Keep two 100-watt lamps lit under the fifth wheel at all times. Place them under the holding tanks and the sewer drain valves. A small electrical heater would also work but you will have to take precautions to keep moisture and water away from the heater. Instead of the light bulbs, you could add heating blankets (not the ones you use in bed) to the underside of the fifth wheel where the holding tanks are located. A few ideas. We welcome other comments. Question: We have a 32 foot 5th wheel and would like to go south, but have had heavy snow and freezing rain. So we cannot open the slides to pack. Can you help with how do we thaw out the frozen slides? Answer: We can offer a few suggestions, and invite others to comment. The easy way out is to put your stuff in boxes in the RV and drive south until you get to warmer climate. That is probably what we would do if things were extremely frozen. If you decide to thaw things in place, one question is whether you have slide out toppers/awnings that might be frozen or not. On our rig, that would be our main area of concern in trying to open frozen slides. Our slides are hydraulic, using electricity to run the hydraulic pump. If you don’t have slide toppers, awnings, awnings arms or other parts that might be damaged, then you might be able to just remove visible snow or ice and try to move the slides out. But do so at your own risk – we don’t have any details about how your slides are configured. If there is abnormal resistance, then don’t force things. You could see if the use of a hair dryer is of any help. We also recommend you contact the manufacturer for their suggestion on the subject. Another alternative is to try to get the RV indoors so that it thaws enough to allow you to work the slides. You maybe lucky enough to have a friend with a heated barn or you could find an indoor storage place for a few days while the RV thaws enough to work the slides. Please let us know how things work out. Other comments welcome. Safe travels! Thank you for your comments, we did try the hair dryer, and it worked great – however, it just snowed another huge amount and now we have to remove all snow and shut slides – yuk! Question: How cold does it have to get before your lines freeze? Answer: They start to freeze at 32 degrees Fahrenheit, but the extent of freezing will depend on how long the temperature is at that level or below, and what you have done to guard against freezing problems. Question: I’ve heard you can put windshield washer fluid in your holding tanks and that would keep it from freezing. We live in the center of Louisiana and it has been cold these last few weeks. So instead of winterizing, which I really don’t understand, I just drain all my lines and tanks, except the water heater. Then I leave the faucets open in case there is any water that wants to freeze or a line that wants to swell. Then I heard about using windshield washer fluid. Do you think I should put some in my tanks? We have a 2004 Prowler Linx travel trailer, only 22 feet. Answer: We haven;t had to deal with this decision ourselves personally, but we did some research on the subject. The consensus is that you should not use windshield washer fluid to winterize. The primary reason is that windshield washer fluid contains methyl alcohol. Methyl alcohol is toxic, flammable and can potentially ruin the rubber seals in the holding tank drain valves. It seems that the cost savings for using windshield washer fluid might be offset by an expensive repair sometime in the future. Question: I have a BT Cruiser. I never use the potable water tank, so want to bypass that for winterizing. Hooking a tube to my water pump to pump the antifreeze isn’t an option. Can I put the antifreeze through the city water connection, then run the pump to get it into the water lines? Answer: In our experience, the water pump pumps water from the fresh water tank. So we don’t think you can expect that the pump will push water directly from the city connection into your lines. But maybe your RV works differently. We invite other comments.